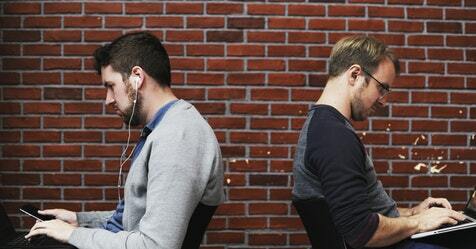 How often have you emailed the person sitting at the next desk rather than speak to them? In this increasingly digitalised environment, we are literally more connected to our machines and technology than to each other. 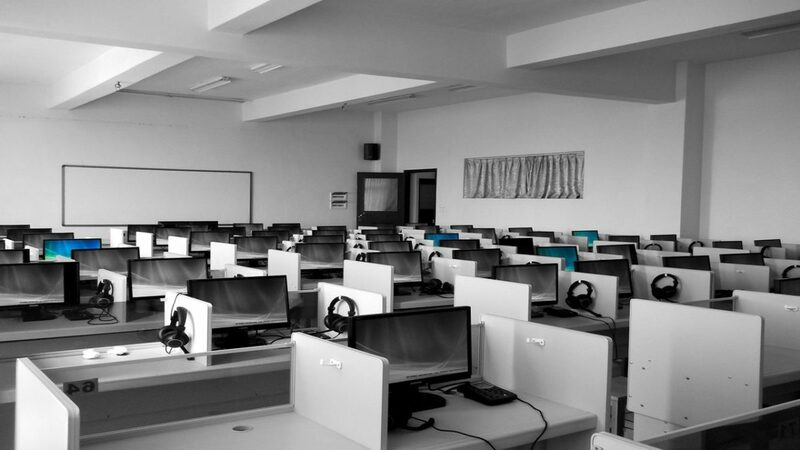 Visualise an office – Rows of plastic desks, strip lights, screen dividers, a potentially isolating environment where workers are more likely to communicate through email than verbally. Is it any wonder that poor relationships with colleagues along with poor mental health are cited as some of the top reasons for absenteeism and low productivity? Now create a different image – colleagues smiling, communicating, relaxed but energised, happy – and ready to be productive. So how do you make this second image a reality and reap the positive impacts? Trying a new approach by introducing innovation and creativity into the workplace can have profound positive outcomes – we need look no further than Google and Facebook for examples in practice. However, human nature leads us to lean towards options that feel ‘familiar’ or ‘safe’. Many traditional team building options can be physically exclusive, encourage competition instead of collaboration and have limited longevity in impact. At Shared Harmonies CIC we support organisations to take a different approach. 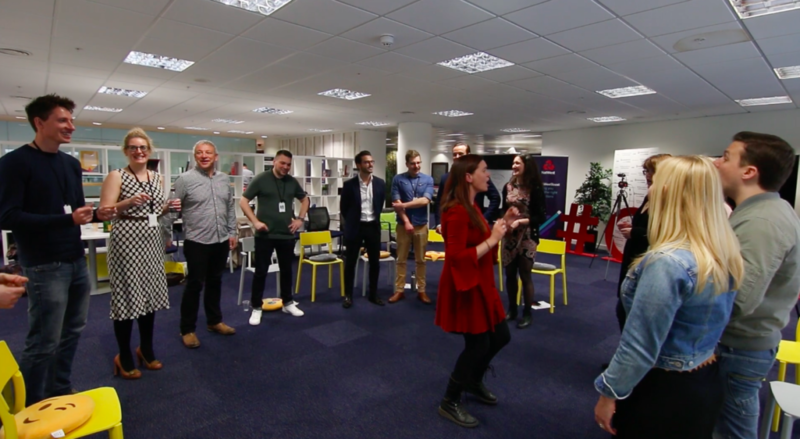 We use innovative singing techniques to provide highly motivating, productive and fun team building sessions, aimed not only at building positive work relationships but also delivering tangible health and wellbeing benefits for employees. There is a wealth of evidence outlining the positive impacts of singing with others. It reduces stress & anxiety, improves posture and respiratory function, builds confidence and communication and releases endorphins giving participants that ‘feel good’ factor. Of course all of that is fantastic for the individual and the organisation and the ultimate benefit is that is really good fun – as our customers testify. Staff are a company’s biggest asset and a happy workforce can reduce sickness absence, lower staff turnover and increase productivity. Booking Shared Harmonies to introduce singing into the workplace, through team building, work based choirs or morning warm ups can lift the spirits and introduce tangible health and wellbeing impacts. In addition, as a Community Interest Company, Shared Harmonies will reinvest any profits generated from its corporate activity into provision for community benefit, directly supporting people recovering from cancer, struggling with mental health or long term respiratory conditions or in areas of high deprivation. This means that by booking us to help make you feel good, you are actually doing good! So are you ready to try something new to bring your workspace back to life and reap the rewards?